I just love to wander through LL Bean and was there recently checking out cycling gear. I noticed that they had a great information sheet which I felt was super complete to make sure I was ready to have a fun, safe and comfortable cycling experience. Of course, on a Discovery Bicycle Tour we take care of all of this for you. However, for those of you who are going to continue cycling when our touring season is over, I’d like to share with your their superb cycling checklist. Since one of the items on this list is a bike computer, I also want to share with you that Discovery Bicycle Tours is giving away a Garmin Edge 510 Cyclometer on October 1st. (Valued at $330) Sign up here and you’ll be entered for your chance to win! Bike – Make sure your bike fits properly and is tuned up. If you have any concerns, take it to your local bike shop for a tune-up and proper fit session. Helmet – Follow manufacturer’s guidelines to make sure it’s the right size. It should be snug but not uncomfortably tight. A properly sized helmet will not move easily and should sit level on your head with the front edge no more than an inch above your eyebrows. Water bottle/Hydration Pack – A single 24 oz. water bottle is enough for rides of an hour or less; bring two bottles for longer rides. Larger volume hydration packs are useful on long rides where finding places to refill may be difficult. Sports drinks can help you stay energized on all-day excursions. Sunglasses – Even if the sun isn’t out, wear sunglasses to protect your eyes from road debris and/or bugs. Frames with interchangeable lenses are great for cycling; choose dark lenses for bright days, clear or light-tinted lenses for overcast and low-light situations like mountain biking in the woods. Tire Levers – Carry a minimum of two tire levers to help get the tire off the rim when changing a tube. Spare Tube/Patch Kit – Practice changing a tube and inflating at home so you’ll be confident on the road. Bike Multitool – A small multitool with common Allen wrenches such as 3, 4, 5, 7 and 8 mm as well as Phillips and flathead screwdriver. A chain tool, chain master link and the knowledge of how to use them to fix a chain can be the difference between continuing your ride and hitchhiking home. Pump – Bring either a small frame pump or an inflator that uses CO2 cartridges (with spare cartridges). Make sure your pump or inflator will fit your bike’s valves. Most adapt to fit Schrader or Presta valves. Practice with your CO2 cartridge inflator at home to make sure you know how to use it on the road. Bike Computer – While not a necessity, they are great for monitoring distance, time and speed. Bike Lock – Nice to have if you plan on stopping and spending time of the bike. Make sure you’re locking the bike to something solid. Light/Flashers – An absolute requirement if you ride early or late. Be sure to have a bright white front light paired with a flashing red light for the rear of your bike. Cycling Apparel – We recommend high visibility clothing for riding safety any time of day. Cycling shorts with padding help you stay comfortable in the saddle. Comfort bike seats usually require less padding, while performance road seats pair better with higher-end shorts that have shaped multi-density pads. Full-length tights are excellent for cooler days. Bike jerseys with rear pockets are handy for carrying a cell phone, money, keys and snacks. Lightweight shells can help keep you warm on cool spring or fall days. Most compress down to fit in the back pocket of your jersey. Padded gloves protect vulnerable nerves in your hands on long rides. If you ride in inclement weather, be sure to have a good waterproof rain suit. Energy Snacks – They help prevent “bonking” if you are out for more than an hour. Make sure you eat before you feel hungry. Bonking you say? I’m jumping in here for a bit of quick explanation: In endurance sports, hitting a wall or the bonk describes a situation when your blood sugar drops too low…you’ll feel crushing fatigue and a BIG loss of energy. Add in a bit of mental confusion there. 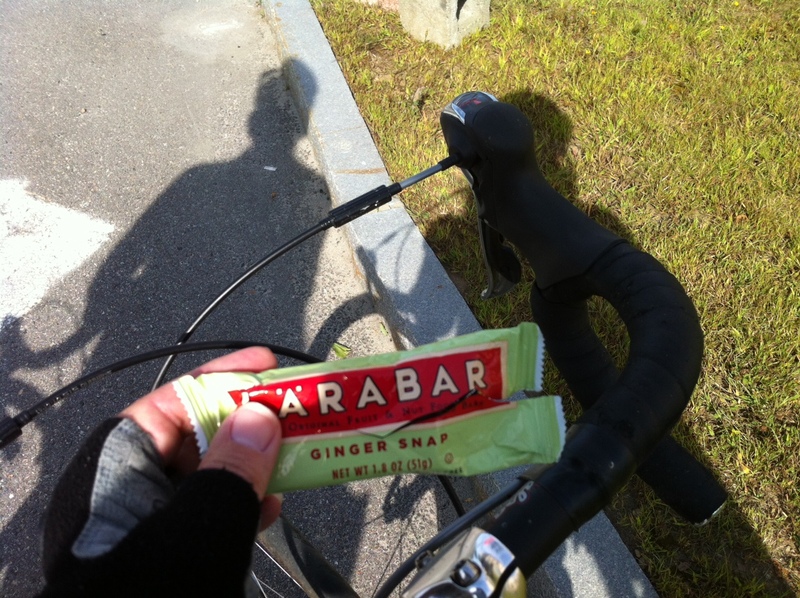 All of this is prevented when you graze on energy snacks and drink water throughout your ride. Bonking…been there, done that…and once you’ve experienced this you’re generally careful about always have some sort of energy food close at hand! Emergency Contact Information – Keep it on you, or in your bike bag in case of an accident or emergency. Cell Phone – Primarily for emergencies, but it’s handy for reach help in case of a mechanical breakdown or severe weather. Money/Credit Card – Good for roadside pit stops, lunch or coffee breaks. Quick Releases – Be sure quick releases are closed properly and tight on both wheels and seat post. The wheels should spin freely without wobble. Tire inflation – Tires should be inflated within the pressure range indicated on the sidewall of the tire. Brakes – Brake pads should align to hit the center of the rim. Make sure the pads are not badly worn. Chain – Be sure it’s well lubricated and check for frozen links. Okay folks, that’s some good advice from LL Bean! Happy touring to you all! 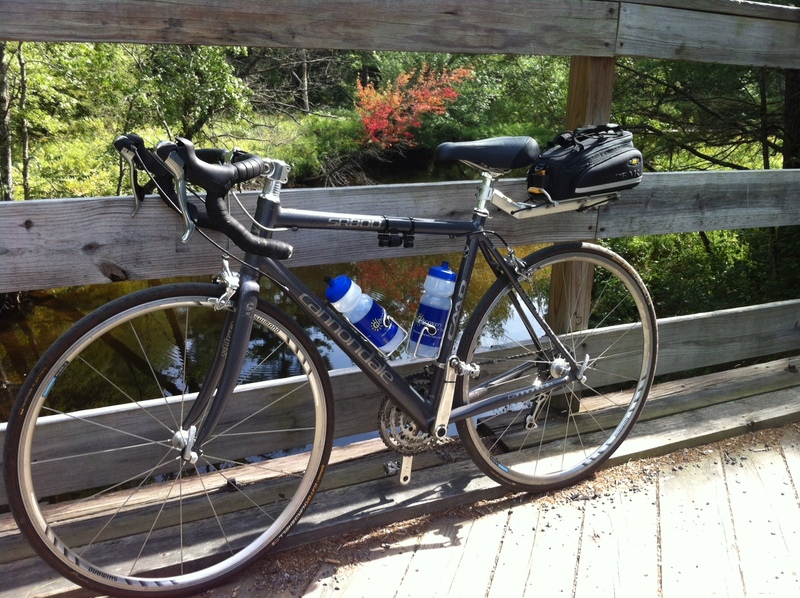 This entry was posted in Cycling Tips and tagged bicycle, Bicycle touring, bicycle tours, bicycling, bike computer, bike touring, biking, bonking, Brake pad, cycling, Cycling Checklist, cycling tips, Discovery Bicycle Tours, Garmin Edge 510 Cyclometer, inn-to-inn bicycle tours, Larabar, LL Bean, Local bike shop, OUTDOOR ADVENTURE, Saddlebag, Shopping, Sports, Tire. Bookmark the permalink.